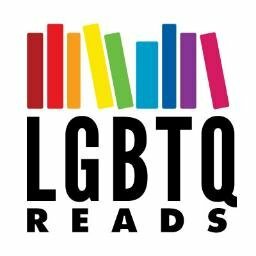 As you can proooobably tell, I know LGBTQIAP+ YA better than anything else, so I’m still catching up to the rest, but I do know today’s got some cool-sounding releases in other categories, so check out this variety of new releases out today! When Chase Compton met the love of his life at a dirty dive bar on Manhattan’s Lower East Side, he had no idea how far from comfort the relationship would take him. Their story played out at every chic restaurant, café, and bar in downtown New York City. Ravenous hunger, it seemed, was their mutual attraction to one another—until suddenly the appetite was spoiled, and Chase was left to pick up the pieces of a romance gone wrong. Left high, dry, and starving for affection (and cheeseburgers), Chase turned to an unlikely audience in a moment of desperation: Yelp.com. Detailed in the Yelp reviews is the story of how to survive a broken heart. Every meal and cocktail shared is a reminder of times spent with the ever elusive “Him.” In recounting the bites devoured and the drunken fits of passion that propelled the relationship, the author chronicles his whirlwind relationship with the man of his dreams, revisiting the key places where the couple ate, drank, and fell in and out of love in the West Village and beyond. The Yelp is a memoir of personal transformation and self-realization, or more simply—a memoir of food and love, played out on a map of modern Manhattan’s culinary scene. The book includes the original twenty-eight Yelp reviews, with interwoven narrative chapters that provide context, insight, and delight to Chase’s story. With Council spies, uncontrolled magic, and the distraction of unexpected love, Celosia will have to win the trust of her teammates and push her abilities to the breaking point to complete the Ember Operative. Except if she falters this time, there won’t be any Elementalists left to stop the Council from taking over not just her country, but their entire world.